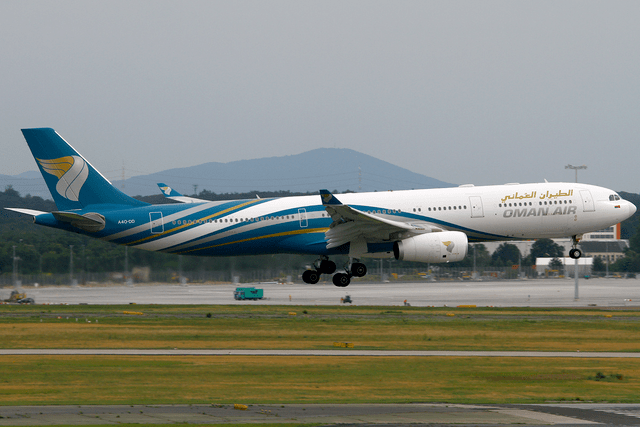 [eTurbo News] MUSCAT — Oman Air, the national carrier of the Sultanate of Oman, has been awarded ‘Best Business Class Airline, Middle East’ in the prestigious Business Destinations Travel Awards 2012. The Business Destinations Travel Awards are voted for by readers of Business Destinations magazine, which is published in the UK every other month. The magazine has a worldwide readership of more than 100,000 and is distributed in premium aircraft cabins and airport lounges, to travel professionals and is sold through retail outlets. Wayne Pearce, Oman Air’s CEO, says: “We are delighted that Oman Air has been named as ‘Best Business Class Airline, Middle East’ in the Business Destinations Travel Awards. recognised for the second year running. The award follows the introduction over the last two years of a brand new fleet of Airbus A330s to the airline’s long haul routes, the launch from March 2011 of Embraer 175s on short haul routes, the pioneering of onboard mobile phone and wi-fi connectivity and the unveiling of superb new business class and first class lounges at Muscat International Airport. A state-of-the-art new Business Class lounge was also opened in Bangkok. Read the rest of this story at eTurbo News…..
[Australian Business Traveller] Virgin Atlantic will reveal its new ‘Upper Class Dream Suite’ business class seats this weekend, with the cabin’s first flight on the daily London-New York (VS003/004) service on April 21st. Sources at Virgin Atlantic confirmed the launch date to Australian Business Traveller, with April 21st tied to the debut of Virgin Atlantic’s newest Airbus A330. 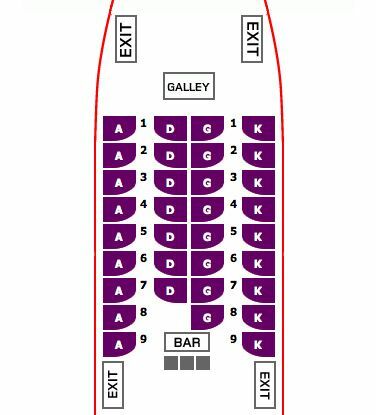 This will be Virgin’s first A330 fitted with business class, and will sport 33 seats over nine rows (in a mosty 1-2-1 layout) in the same space where the current A330s have 59 premium economy seats (arranged 2-3-2). What Virgin Atlantic promises to be a “cutting-edge Upper Class cabin” will also include an updated bar design located by the entrance, a new in-flight entertainment system plus a refreshed “fine dining” menu, with an ‘express supper menus’ for lighter meals and quicker service. 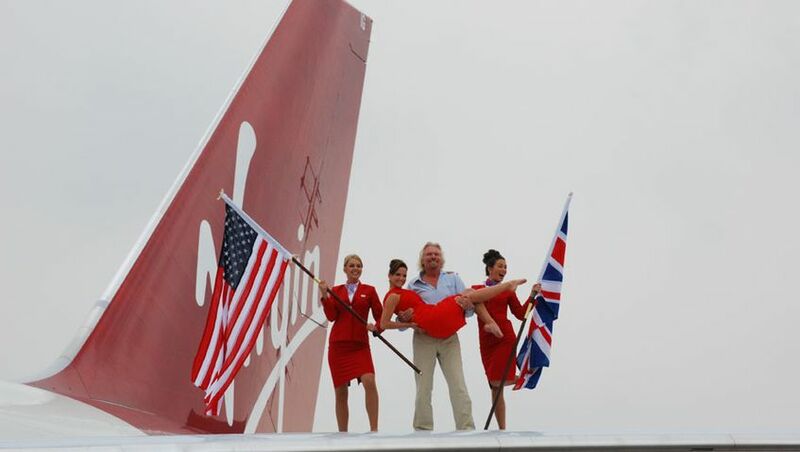 “This is not just about the seat” says Virgin Atlantic chief operating officer Steve Griffiths. “This is about creating a gap [with our competitors]. It involves new product, new in-flight entertainment and investment in the service. It will absolutely make Virgin Atlantic the best in class.”…..
Read the full story at the Australian Business Traveller…. A Virgin Atlantic incident earlier this week, in which 15 passengers had to be treated in hospital after an emergency landing evacuation, was due to “a number of alarms being triggered in-flight”, the airline has said. 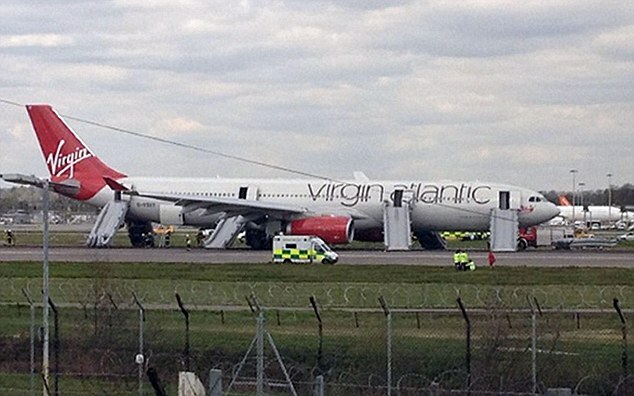 Passengers spoke of people landing on top of each other after the Florida-bound Virgin plane was evacuated at Gatwick having had to turn back to the West Sussex airport on Monday. Virgin said the crew of the Airbus A330 had taken positive action in line with procedures by returning to Gatwick and evacuating the plane which has now been certified for a return to service. All Gatwick flights were suspended for around an hour and 40 minutes while the drama involving the plane, carrying 304 passengers, was being played out. A Virgin Atlantic spokesman said: “We can confirm that the investigation following Monday’s incident on flight VS27 from London Gatwick is now complete. A full technical evaluation and systems assessment has been completed in conjunction with the airworthiness authorities and the manufacturer, and the aircraft has been certified for a return to service. “The investigation identified that a number of alarms were triggered in-flight, in response to which our flight crew took positive action in line with procedures by returning to Gatwick and completing an evacuation of the aircraft.”…. Read the full story at the Press Association Google News page…. A blaze on board a packed jet forced an emergency landing at Gatwick yesterday. The Airbus A330 turned back just 15 minutes into its flight to Orlando in Florida as smoke began to fill the cabin. Some passengers accused the staff of panicking as the aircraft landed and its emergency chutes were deployed. Liam Moore, a passenger, said everybody was ‘really shaken up’. ‘Everything seemed fine,’ he said. ‘Then the pilot came on the tannoy just a few minutes into the flight and said we would have to do an emergency landing. It all happened so quickly. We landed and suddenly all the doors flung open and the emergency slides were inflated. ‘We then had to slide down the chutes, some people got cuts and grazes from the slide. Fire crews used powerful extinguishers to douse the flames as the Airbus stood on the runway. All flights at Gatwick were suspended, leaving thousands stranded and facing an afternoon of delays. The airport had been due to deal with 600 flights during the day. Passenger Tom Alridge said one of the cabin crew panicked after the plane touched down: ‘She was screaming like a banshee – “Get off, get off” – she was literally pushing people down the chute,’ he said. Another passenger, Mark Bell, from Bracknell, told the BBC: ‘I knew something was wrong when we took off. The plane was really wobbly. ‘The cabin crew made things worse. They were all really panicked. We weren’t told anything other than we had to go back to Gatwick and make an emergency landing. ‘We circled the airport twice before the landing. We were told to evacuate, evacuate, evacuate.’…..
Read the full story at The Daily Mail…. Reporting from the scene of the incident – London Gatwick: 12:30 16th April 2012. I’m currently sitting on an easyJet Airbus 319, that was bound for Vienna, at the western holding point. 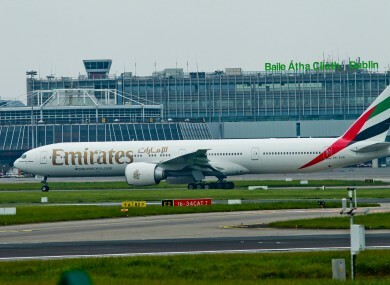 Our aircraft was number one in departure traffic but was held at this point due to an inbound emergency being declared. Our engines have been shut down. 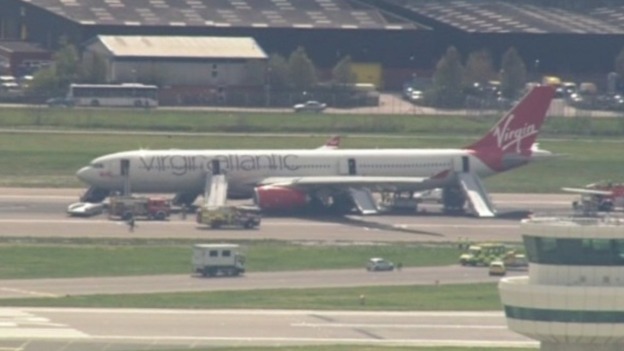 A Virgin Airbus A330 has just landed under full emergency procedures at Gatwick Airport. The flight was given a priority landing spot and has stopped on the runway itself after the flight crew were alerted to the possibility of smoke in the cargo hold. The emergency shoots were used to quickly disembark the passengers on to the runway. All flights, both departing and landing have been put on hold as the stricken aircraft is checked out by Fire Services. Passengers are currently standing to the side of the runway awaiting collection by Gatwick Airport staff. The aircraft will have to have it’s emergency chutes detached before it can be cleared from the main runway. We have been informed that the delay and the reopening of the runway is likely to take at least an hour. So far the Fire Service have not found any problems in the cargo holds. SYDNEY: Australia’s Qantas on Friday launched the nation’s first commercial flight using a mixture of refined cooking oil, saying it would not survive if it relied solely on traditional jet fuel. The Airbus A330 left Sydney for Adelaide using a 50-50 blend derived from recycled cooking oil and regular jet fuel in what the airline hopes will be the first step towards a sustainable aviation fuel industry in Australia. “We need to get ready for a future that is not based on traditional jet fuel or frankly we don’t have a future,” Qantas chief executive Alan Joyce said. “And it’s not just the price of oil that’s the issue — it’s also the price of carbon. Europe already imposes a controversial carbon tax on airlines, while New Zealand has a carbon tax that applies to flights within that country by Qantas’ budget carrier Jetstar. Australia’s tax on carbon emissions comes into force on July 1. Qantas said the biofuel, which has been certified for use in commercial aviation, has a “life cycle” carbon footprint about 60 percent smaller than that of conventional jet fuel. Jet fuel is the largest operational expense for the Australian carrier, which in February announced it would slash at least 500 jobs and cut costs after an 83 percent slump in first-half net profits. In March it hiked its fuel surcharge for the second time in two months, saying its fuel costs were expected to rise by Aus$300 million (US$312 million) in the six months to June 30 to Aus$2.25 billion. The Australian government said it would help Qantas fund a study into the sustainable production and commercialisation of aviation biofuels. Read the full story here at The Economic Times….